You are currently viewing Archived reports for the week of 20 August-26 August 2003. According to news articles, INETER reported increased seismicity at Concepción on 21 August. 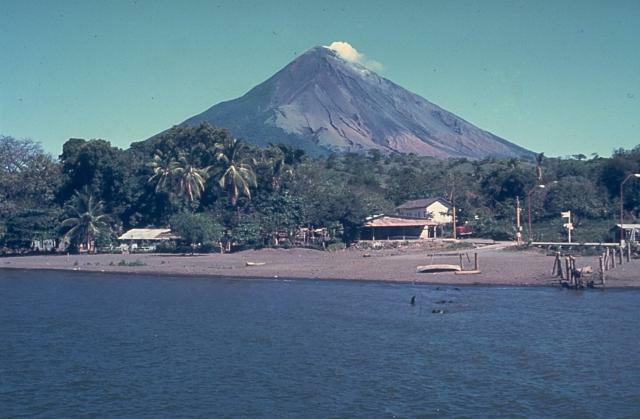 People on the island of Ometepe did not feel the tremor, which ended on 22 August. Following 5 months of slow inflation at Piton de la Fournaise and a series of eruptions during May to July, a new period of heightened seismicity began beneath Dolomieu crater on 23 August at 1848. 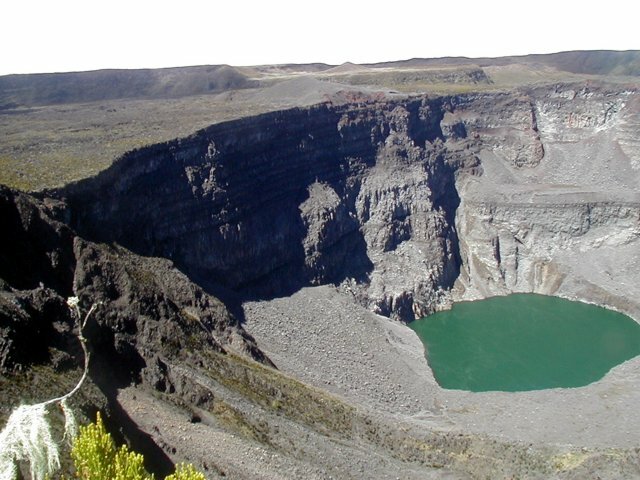 The first fissure opened in Bory crater around 2120, and the second fissure opened at 2210 on the N flank at about 2,450 m altitude. Both fissures were active for short periods of time. The final fissure opened at 2330 around 2,200 m altitude on the N flank. 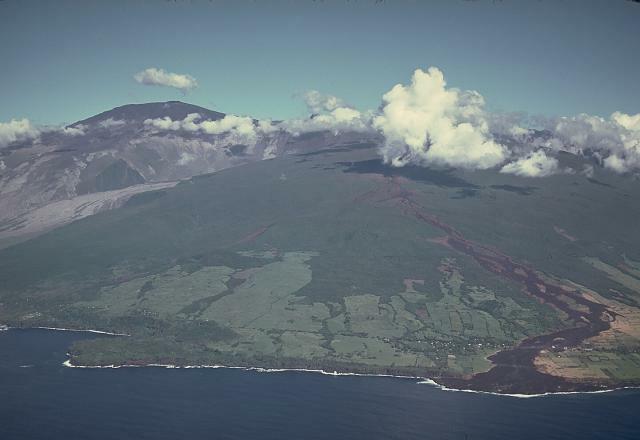 A lava flow traveled into Plaine des Osmondes. 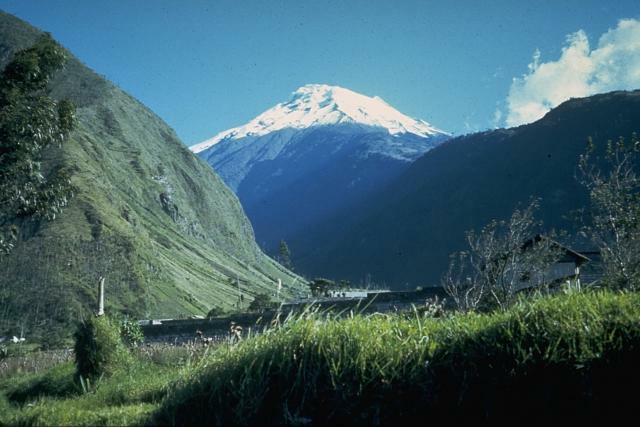 After 50 days of low activity, Tungurahua entered a new phase of activity on 20 August, characterized by a short sequence of long-period earthquakes followed by gas-and-ash emissions that reached a maximum height of 3 km above the volcano. A small amount of ash fell in the sector of Cusúa. During the evening incandescent volcanic blocks were hurled ~300 m above the volcano and traveled ~1 km down the volcano's flanks. On 21 August emissions of mostly steam and small amounts of ash rose ~1 km above the volcano and drifted W. Ash fell in the sectors of Riobamba, Ambato, and Santa Fé de Galán. On 23 August plumes rose to 0.5-2.5 km above the volcano, and ash fell in the town of Guaranda. 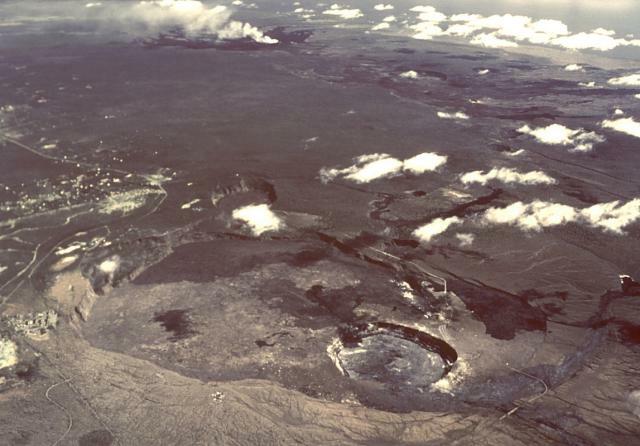 On 24 August an explosion at 2133 ejected blocks that traveled ~1 km down the volcano's flanks. The explosion was heard in the town of Baños. On 26 August an ash plume from Dukono was visible on satellite imagery at a height of ~3 km a.s.l. extending ~55 km E of the summit. 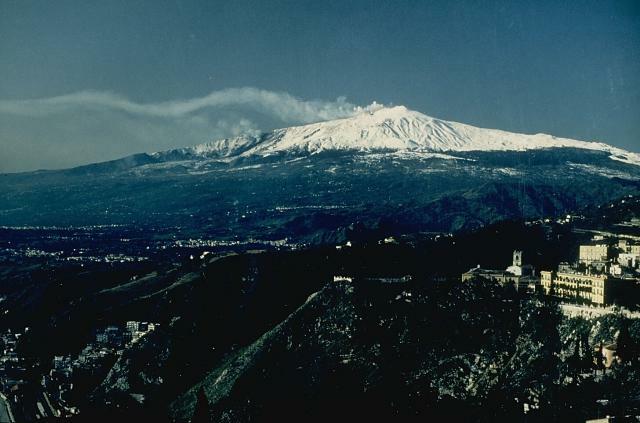 INGV-CT reported that on 11 August at 1715 an increase in volcanic tremor at the summit seismic stations on Etna lasted about 15 minutes. The tremor was followed by about 30 minutes of strong explosion earthquakes that were recorded at all INGV-CT seismic stations. This was the first such event recorded since the end of the flank eruption on 28 January 2003. A red puff of ash from Northeast Crater was visible on a INGV-CT web camera located at Milo, about 11 km from the summit. Red glow from the crater was seen during the night. No explosive activity or loud sounds occurred during a field survey on 14 August, and no explosion earthquakes or tremor were recorded during 11-16 August. 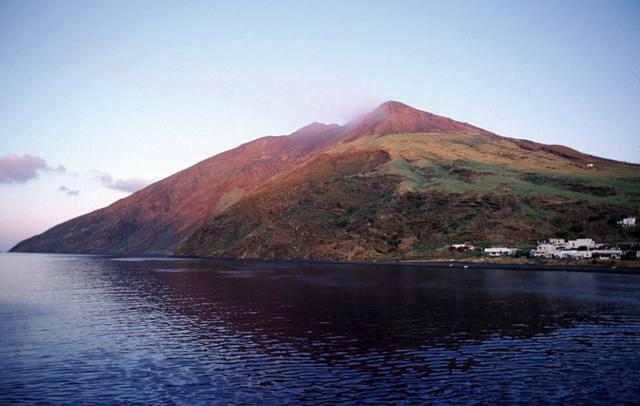 Periodic measurements of the gas plume at the volcano's summit revealed that gas emissions had generally decreased since the end of the flank eruption. During 20-25 August at Kilauea, surface lava flows were visible on the coastal flat and upslope on the Holei Pali. Generally, seismicity at Kilauea's summit continued at moderate levels, with 1-2 small low-frequency earthquakes per minute occurring at shallow depths beneath the summit caldera. There were some larger events at depths of a few kilometers. Small inflation and deflation occurred several times during the report week. During 15-22 August, seismicity was above background levels at Kliuchevskoi. Up to 15 earthquakes were recorded per day at depths around 30 km. Spasmodic tremor was also recorded. 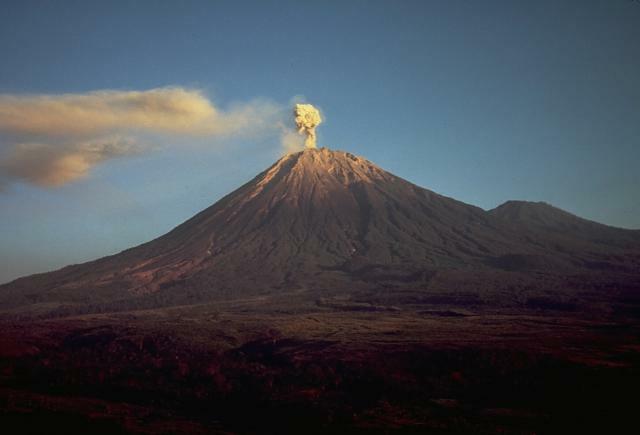 Gas-and-steam plumes rose to 700 m above the volcano, weak fumarolic activity was recorded, and a thermal anomaly was visible on satellite imagery. Kliuchevskoi remained at Concern Color Code Orange. During 11-17 August, volcanic activity at Semeru continued at relatively high levels. 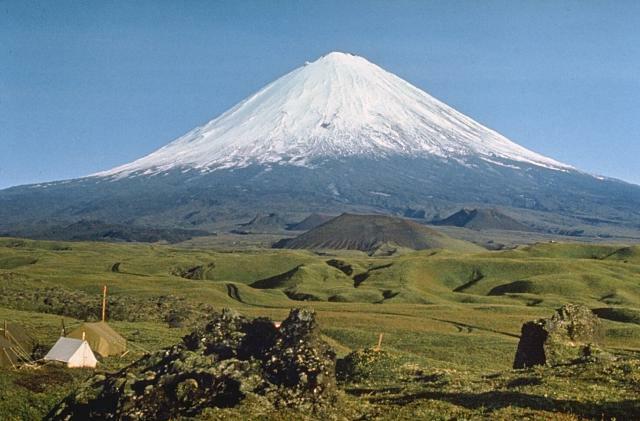 Explosions produced ash columns that rose to 400 m above the summit. Seismicity was dominated by 550 explosion earthquakes. Semeru remained at Alert Level 2 (on a scale of 1-4). 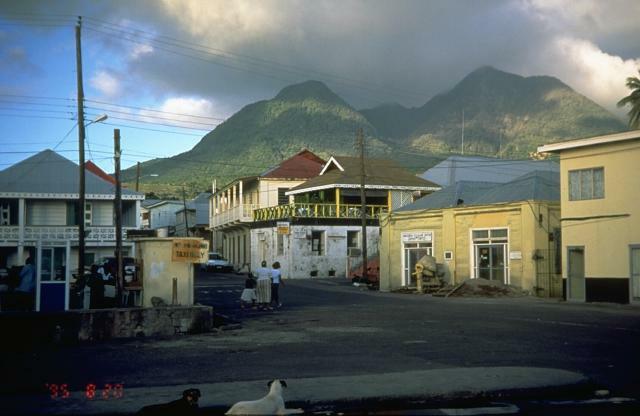 Volcanic and seismic activity at Soufrière Hills remained at relatively low levels during 15-22 August. 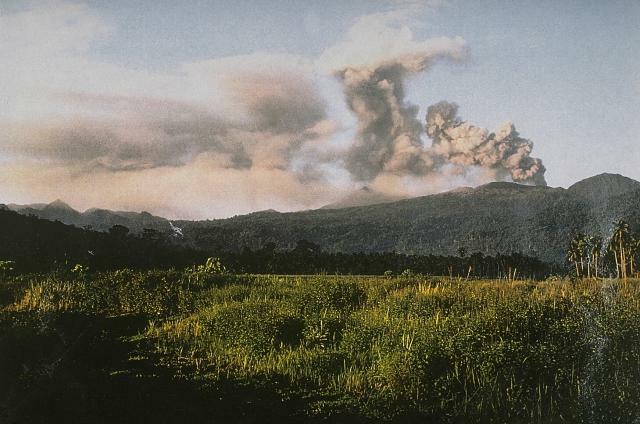 Views of the lava dome inside the explosion crater showed that no further growth had occurred. Some very small rockfalls were produced from the interior of the 12 July collapse scar, and in several places large fumaroles formed. Sulphur-dioxide emissions ranged from 400 to 900 tonnes per day, with the maximum being recorded on 18 August. INGV-CT reported that after the effusive eruption at Stromboli ceased between 21 and 22 July, explosive Strombolian activity became more common at both summit craters. Four active vents were observed within Crater 1 (the NE crater), and one funnel-shaped incandescent depression was seen within Crater 3 (the SW crater). Strombolian activity during the first half of August was very intense at Crater 1, with spattering that led to the creation of a spatter cone on the crater floor and fallout of incandescent bombs on the cone's outer flanks. Explosive activity at Crater 3 appeared to be deeper than at Crater 1 and was often accompanied by ash emission. During the first half of August thermal images of the apparently inactive flow field revealed a thermal signature within cracks on the upper flow field and within skylights along two lava tubes in the upper Sciara del Fuoco, at about 550 m elevation. Temperatures over 300°C and incandescence at these hot spots suggest endogenous growth of the apparently inactive lava flow field. Incandescence and thermal signatures at these sites were not seen between 22 and 31 July.